Since the first edition of this book was published, it has been brought to our attention that, according to the oral teachings of Taklung Tsetrul Rinpoche himself, the first part of the commentary written by Kunzang Jigme Tinley Namgyal, a student of Rigzin Pema Tinley, continues until the end of the section on guru yoga — page 168 of our English translation. 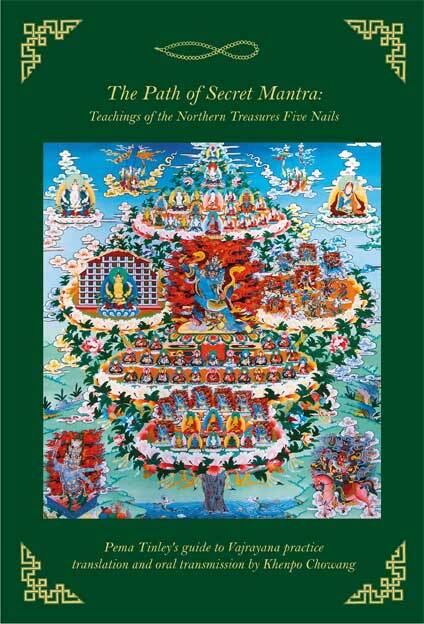 Pema Tinley’s contribution thus begins with ‘the uncommon preliminary practices’ and continues to the end of the text. Also, when HH Taklung Tsetrul Rinpoche taught the ‘uncommon practice of Vajrasattva’ (pp.101-102 of this translation), he said that the five Vajrasattvas are to be visualised together within the body of the main Vajrasattva above the practitioner’s head. Thus, the red Vajrasattva abides within the throat of this white Vajrasattva upon the crown of one’s head, and the blue Vajrasattva abides within his heart, and so on, instead of within the throat and heart of the practitioner, as stated in our translation. This entry was posted in Downloads & Corrigendum. Bookmark the permalink.